After six months away from his easel, George Rodrigue returns this fall to his instincts, painting throughout the quiet nights in solitude. 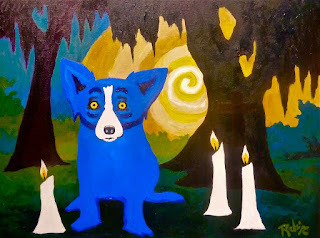 The canvases, dominated by a Blue Dog and oftentimes a typical Rodrigue oak, are familiar, yet something is different in the feeling behind the images. To the point, something is different in his affect. We’re struggling to grasp this new life, particularly with regards to society and the public. 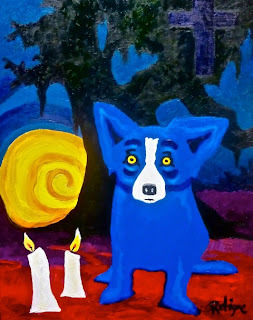 George’s outlet is painting and mine is blogging, but otherwise, with the exception of commitments related to the George Rodrigue Foundation of the Arts, we live a bit like hermits these days, as we contemplate the meaning of this second chance. Looking back at our calendar, usually booked months in advance, we noted that in more than one year, we had not spent a dinner out just the two of us. Accordingly, for the past four weeks we’ve enjoyed once each weekend ‘date night,’ an evening set in stone. Our lives, or rather living, depends, we’ve realized at last, on appreciating each other in action as much as thought. And we marvel at our ability to turn down with ease what we formerly saw as social obligations. 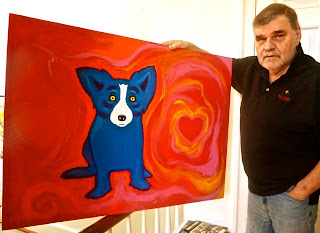 Let’s face it, even when we have it bad, George and I have it pretty good. 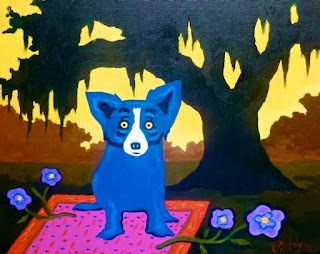 I wrote this summer about George Rodrigue as one “Lucky Dog,” and I thought a lot about the nature of my own psyche--- how I worried constantly about George’s suffering, struggling even now to relax my panic, while he worried only for my future. 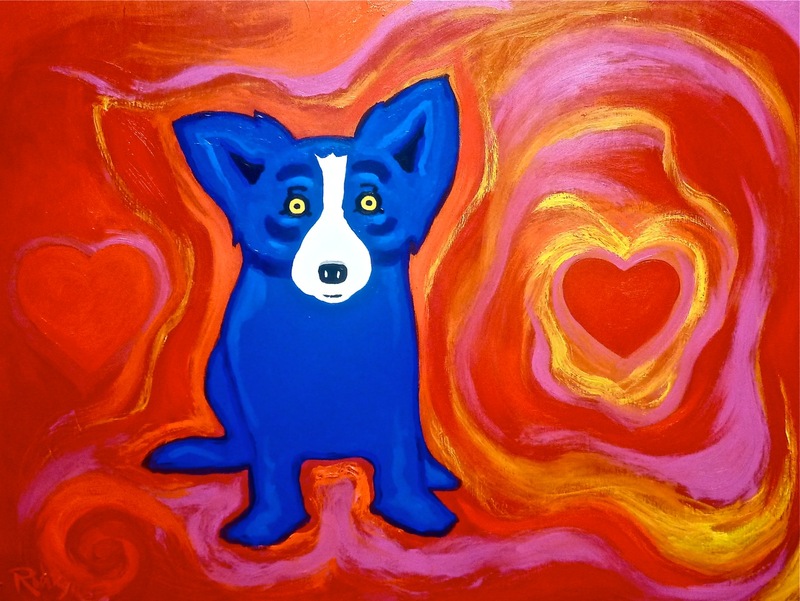 I recall a mindfulness exercise several years ago when my sister Heather lead me blindfolded into the Arizona desert as part of a relationships class. Not permitted to speak, she guided me silently around cacti and over rocks for close to an hour. At the end, the guide asked us both about our feelings. I was fine, I shrugged. My sister would never let anything happen to me. On the return, Heather wore the blindfold, and I guided her across the uneven sandy terrain, so different from our hometown beaches. But I could see! I exclaimed. I got the latest Rodrigue Studios email yesterday and "Sunshine is Mine" blew me away. I look forward to seeing more. I'm so happy George is better. You made me cry. George and Heather worrying about the strongest woman I know--instead of themselves--makes all three of you so beautiful!